Very low student to instructor ratio – usually about 4 or 5 kids per instructor. Full day sessions. 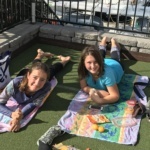 Our summer program operates with full-day sessions from 8:30AM to 4:00PM. Most other area programs are half day sessions. Exciting boats. Our fleet of boats includes some of the newest designs in the industry. The single handed O’Pen Bic is tremendously popular with the kids. 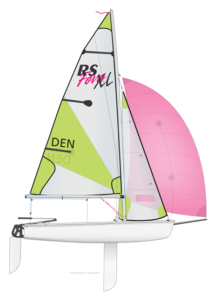 The RS Feva is new to our fleet this year and provides a great move up option for kids that are outgrowing the Bic or want to move on to double-handed sailing with a crew. We also have the Naples Sabot – the traditional Southern California learn-to-sail pram. Our Hunter 216 is a sloop-rigged keel boat with modern sport boat styling. 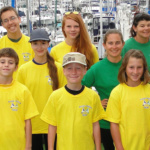 This boat allows us to offer a ‘big boat’ experience to young sailors at any skill level.